Once again we are indebted to Nomura for allowing us the use of their beautiful roof terrace overlooking the Thames for our annual summer party. It affords us the opportunity to meet friends old and new, while enjoying wonderful hot and cold food and desserts accompanied by wine, beer and soft drinks. 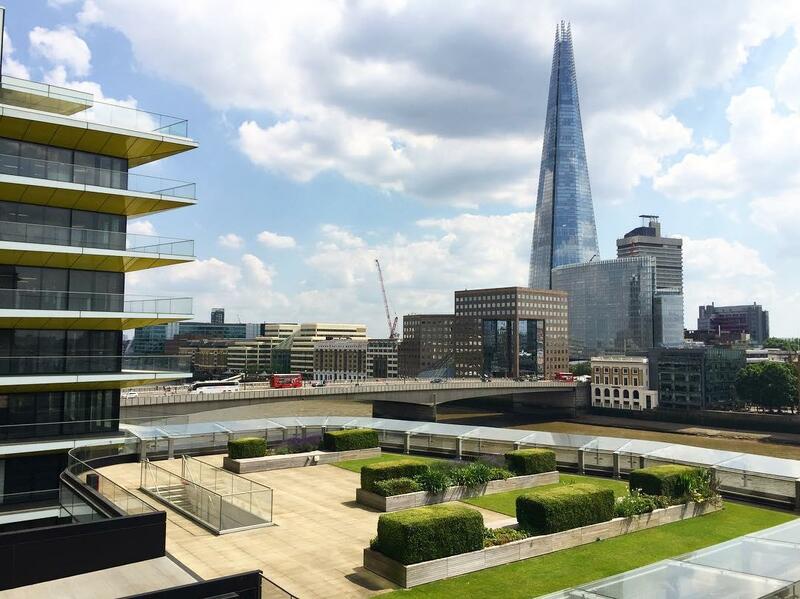 For those who have not attended before you are treated to great views from the terrace of the Shard, HMS Belfast, Southwark Cathedral, the Golden Hinde II and Tower Bridge before taking a leisurely stroll to admire the bountiful rooftop kitchen gardens.